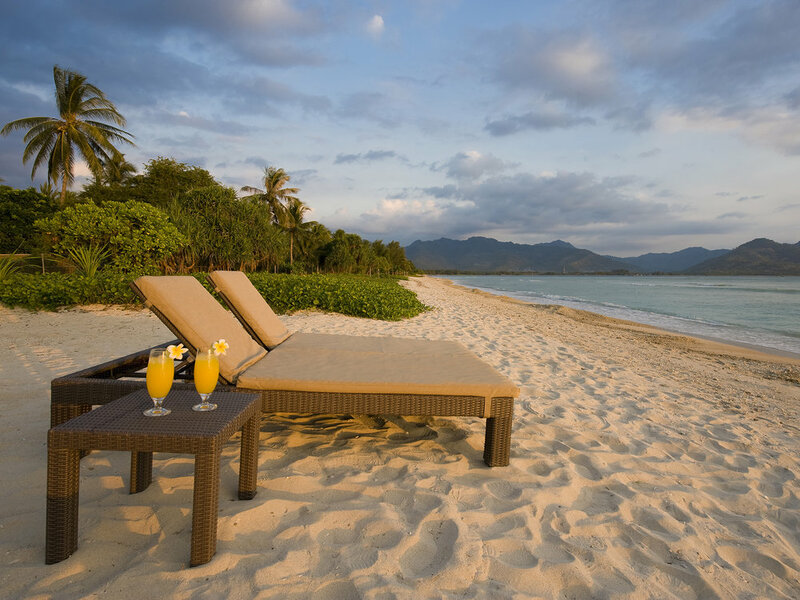 - Spectacular views over the Lombok Straits to the Gilis. - Large ensuite bathrooms with bathtubs and walk-in showers as well as private out-door showers at the back. - Outdoor daybed for relaxing and watching the birds and butterflies. - The Orange room has two large single beds and two trundle beds. 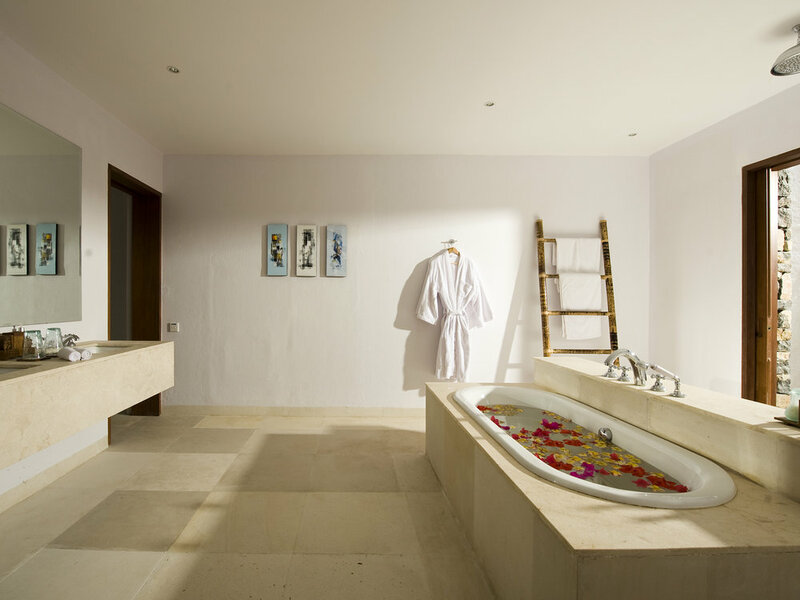 - Ensuite bathrooms and outdoor showers. - Stand-alone beach bedroom situated in the gardens - Beautiful views directly onto the beach. Capacity: 12-16 people (3 with kings, 2 with twin beds and 1 with queen). Extra charge applies for over 12 people. 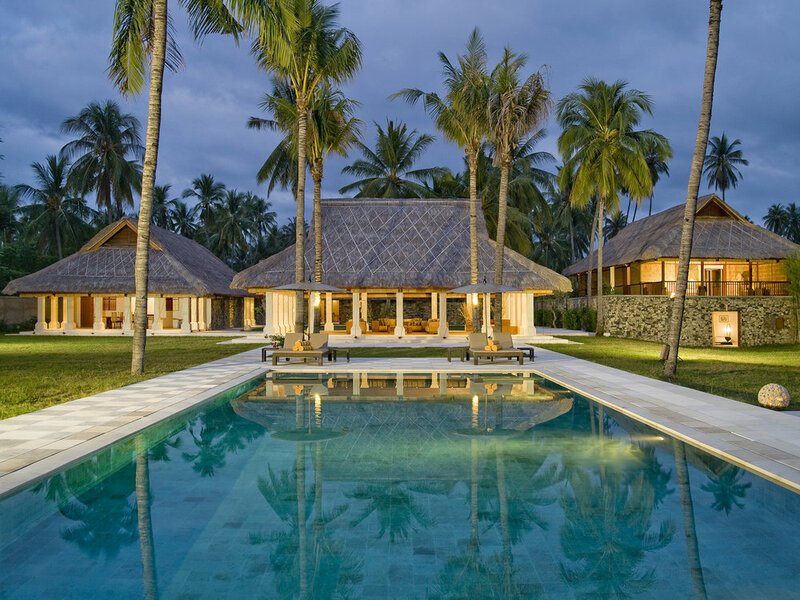 Large open-sided living pavilion; dining pavilion; poolside bar; massage balé and media room.